"Mr. Bill was a part of our Florida family and it is with great sadness to say goodbye. I have fond memories of his visits just to say hello..."
William James Polumbo, 94, of Hudson, FL and formerly of Cheshire, MA died on Tuesday, August 7, 2018 in New Port Richey, FL. He was born in Adams, MA on October 13, 1923 a son of the late James J. and Ella (Taylor) Polumbo. He attended local schools, graduating from Drury High School with the class of 1942 and went on to attend Springfield College. William was a decorated veteran, serving in the United States Navy as a ship fitter during World War II where he earned multiple medals. He was employed at General Electric Company as an engineer in the power transformer division, retiring after 30 years. Dad's passions in life were boating, skiing, motorcycles and fast cars. 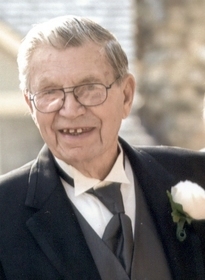 He spent many summers up at Duke's on Windsor Pond with his family boating and also skiing at Dutch Hill, where he taught his five children how to ski. Dad was an excellent mechanic too and labored restoring sports cars. For many years, he led the Fall Foliage Parade on his Palomino, "GoldenTex", which was always a proud moment in his life. Later in life, he retired to Florida with his wife Mary where he enjoyed a full and active life with friends while looking forward to visits with grandchildren and boating in the Gulf of Mexico. William was predeceased by his wife Mary Cecilia (Palmer) Polumbo, whom he married on July 12, 1947. She died on April 9, 1999; a daughter MaryAnn Polumbo-Joppich as well as his brother James Francis Polumbo and beloved brother in law, James C. Palmer. Survivors include his four children Patricia Polumbo of Williamstown, MA; William J. Polumbo Jr. of Hudson,FL; Charlene Tattersall and her husband, William of Williamstown, MA; Cynthia Dudziak of Schylerville, NY; who was predeceased by her life partner Lionel Leduc; grandchildren Shayla O'Neil (Colin); Nick and Jim Polumbo; Kelsey and Kathleen Dudziak; Ryan Joppich; and Ashley Herr (Aaron) and Bridgette Tattersall; and great grandchildren- Sophie, JT and Charles O'Neil; AJ and Austin Herr; Mariana Joppich, and William M. Pasquantonio.